I doubt Dr. Shaena Montanari ever thought that a single Twitter conversation would earn her 3,000 new followers (1,000 within two hours) and help launch a new hashtag. But that’s what happened when she replied to a political tweet that mentioned velociraptors. As we discussed last time, bacteria that infect the human body face a major challenge: iron, which is essential for bacterial growth, is hard to obtain from human tissues. Many pathogenic bacteria solve this problem by deploying “stealth siderophores,” which steal iron from human iron-binding proteins while evading our defenses. In the battle between humans and pathogenic bacteria, our best weapons, antibiotics, are being weakened by widespread resistance. Is there a way to use bacteria’s need for iron against them? Many remember the boisterous, muscle-bound, tattooed sailor Popeye and the thin-as-a-rail Olive Oyl from Saturday morning cartoons. In times of need, such as when his rival Bluto stole Olive Oyl for the 50th time, Popeye would squeeze open a tin can of spinach. Eating the spinach, sometimes miraculously through his corn-cob pipe, gave Popeye that extra boost of energy needed to escape his bonds and rescue his lady-friend. What was so special about spinach that gave Popeye his superpower? In “Virus vs Bacteria: Mortal combat” we learned that bacteriophage (phage) are a group of viruses that literally prey on bacteria and archaea. Phage fill a predatory role in their native ecosystems, helping to keep prey populations in check, in turn preventing exhaustion of available resources. We also explored in “Virus vs Bacteria: Enemy of my enemy” how humans can exploit these bacterial predators to be useful in a number of ways. But there’s quite a bit more to phage than meets the eye. New research is beginning to show us additional ecological impacts phage have on their environments—ones that can play a role in challenges humans face such as climate change and antibiotic resistance. Just a couple of weeks ago in “Camouflaged: Finding cephalopods” MiSciWriters blogger Irene Park told us about how cephalopods (octopuses, cuttlefish, and squids) alter their skin color, and texture to blend into their surroundings. But based on what scientists know about cephalopods’ eyes, they should be color-blind. So how can they mimic colors with such incredible accuracy? Every predator is prey to something. The antelope falls to the lion, the lion falls to the human, and the human, to viruses and bacteria. Bacterial infection is one of the things we fear most. Infections from antibiotic-resistant bacteria can conquer the strongest and smartest of us. But… do the bacteria that live in and around us, that even prey on us, have a predator themselves? George Washington Carver, probably without realizing it, was one of the first proponents of plant probiotics. Carver was a faculty member at the Tuskegee Institute in the early 1900’s and re-introduced the concept of crop rotation with peanuts, soy, and other legumes to U.S. agriculture. By alternating corn and cotton crops with peanuts, farmers could replenish the nutrients in the soil but continue harvesting a cash crop. Legumes are an intriguing type of plant since they rely on bacteria, such as Rhizobia, that grow in specialized nodules on their roots to provide them with nutrients, like nitrogen. In return, the plants supply the bacteria with sugars and oxygen for growth, a symbiotic exchange for nutrients the legumes cannot produce themselves. Imagine this. 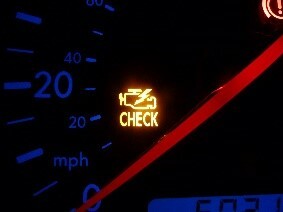 The check engine light comes on in your car. You drive it to an auto parts store to get the check engine code read free of charge and an employee gives you their best guess for the needed repair. Feeling you have the solution, you drive to your local repair shop (that would have charged $100 to read the code!) and request the repair. Proud of your resourcefulness, you pay, pick up your car and leave with a swagger to your step. Until 3,000 miles later when the check engine light comes on. Again.